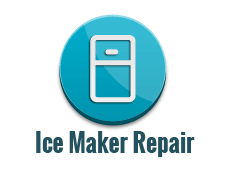 Seattle Refrigerator, Freezer, Ice Maker Repair. Call (206) 686-9966 Now! Our Technicians have such experience, sometimes customers wonder “what he only looked at the fridge for 10 min” well when you are repairing refrigerators and only refrigerators for about 20 years, you have seen the same problem happen again and again. The tech took 10 min due to his experience of the problem with your fridge which is great because it makes the job done correct and as fast as possible. It makes the job done right, so you can get your fridge working again. Great customer service start with experience, and with as many as 18+ years of experience you know you’ll get both great service and a technician who is knowledgeable to fix your refrigerator right the first time. Whether it’s your home , your personal rental property, or business that you run, we will be there as soon as possible, this way you can go back to your daily schedule. Be on time! We are rarely, if ever late. We will do our best to fit you for the same day, if we can’t and are overbooked fo the day, In this cases, we will usually schedule you for next day. No hidden cost! No surprises! You will be giving you an estimate before the repair starts. Other companies will surprise you with a bill after the repair has been completed. 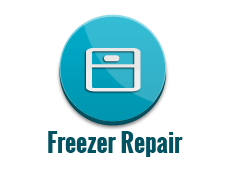 With Seattle Refrigerator Repair you will always know how much the total repair will be before the job is performed, no matter how long it takes for the Technician to complete the job. This way you can make an inform decision, as to completing the repair. We know it’s frustrating to wait all day for a technician. We make sure our techs will call in advance, so you won’t have to be stuck in the house. We let our happy customers speak on our behalf: Testimonial – Our happy customers makes the difference!! Lara Woodberg I woke up to find my maytag refrigerator leaking. I called this guy they came a few hours later the technician called me about 20 min in advance. He came diagnose and-and repaired my fridge. Happy and will recommend them. Burch Louis My SubZero stopped cooling over the weekend, The technician came out and recharged it with freon. And now it’s cooling like new. Brett McCollin I highly recommend Seattle Refrigerator Repair; it was a pleasure work with them! Slava is extremely knowledgeable, thorough and professional. The dispatcher was trying to pinpoint to the issue so; Slava brought over the part he thought might be the cause. This way, I didn’t have to wait for him to order the part. The repair was fast, and the price was reasonable. Liz Gordon Seattle Refrigerator Repair came in a matter of a few hours after I place the call. My GE refrigerator was leaking water on my hardwood floors, so I needed someone fast. They did a great job the, you know right from the beginning that the technician knows what he is doing when it comes to refrigerators repair. I will recommend them for a whirlpool refrigerator repair. Sean Fritz My Sub Zero refrigerator needed repair; The lights wasn’t working. Seattle, refrigerator repair sent Slave and he had the light bulb with him. I ended up doing maintenance and cleaning the coils; the service was done cheaply compare to what sub zero will charge me. 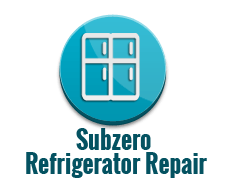 I was very happy and recommend them for a sub zero refrigerator repair. Daniel Mason My LG refrigerator stopped cooling all of a sudden. I called one company, waited three days for them to arrive. When they arrive the technician seemed unfamiliar with this kind of refrigerators and told me all it can be is the refrigerator control board we replaced the board it cost me 450 dollars but that didn’t fix the problem. At this point, I’m over a week without a refrigerator and this company told me it would take another few days for them to send the tech to re-diagnosing, I told them that’s not possible so they refund me the service call and I called Seattle refrigerator repair came the next day. It turned out that these refrigerators have a light switch and if it gets broken, the entire refrigerator will stop cooling that something that the previous refrigerator repair technician did not know. When it comes to lg refrigerator repair you want to get the right person, I’m glad I found Seattle refrigerator repair. Jackie Summers I called Seattle refrigerator repair, and asked if they work on Whirlpool Refrigerators, They told me they do, in fact, the person on the phone told me that most refrigerators brand owned by Whirlpool today, I had no idea. Slava the repair technician came around 3 pm I was scheduled for 2-5 and he called in advance as promise. He is a nice russian guy very polite and knowledgeable. He knew right away what the problem was. I will recommend anyone who need a refrigerator repair to call them. Thank you. Dan Gardner I had the the ice maker in my Amana refrigerator replaced today. Slava was great. He explained exactly what he was doing each step in the process and what the issues were. He arrived with all the necessary parts to be able to repair or replace the ice maker on the spot. Great service at a reasonable price. Bob Taylor My kitchen Aid was leaking, Seattle refrigerator repair scheduled me a few hours after I called. It turned out to be the drain pan they fixed it, it didn’t cost much I was very pleased and happy with the service. I will recommend them and will use them again. Maytag Freezer and Fridge Repair (The most common Maytag problem is the control board), Amana Refrigerators(evaporator fan motor is the most common), Frigidaire Fridge Repair (Damper control), GE Refrigeration Repair (Control board), Jenn-Air Refrigerator Repair, Kenmore ,Fridges, KitchenAid Refrigeration Repair, LG Refrigerator Repair (Control boards are the main issues in LG’s), SubZero Repair, Whirlpool Fridge Repair. *Refrigerators for home use was invented in 1913. *Most households use the freezer-on-top-and-refrigerator-on-bottom style, which has been the basic style since the 1940s, Now days Side-by-side Refrigerator and Bottom Freezer Refrigerators are just as common. *Freon is not used anymore and been banned around the world. Instead Freon was replaced by a different coolant which is more Eco-friendly. *Optimum temperature range for perishable food storage is between 37 to 41 °F (3 to 5 °C). *Freezer temperature should be at 0 °F (-18 °C). *There is a Guinness book record for having Fridge Magnets, The record is held by Louise Greenfarb from Nevada currently at 32,000 Magnets. *Older Refrigerators tend to be more reliable than new ones. But if you do decide to replace your fridge make sure you get an Energy Star one they are Eco-Friendly and very efficient on electricity. Do we get calls asking which refrigerators break the least? The truth of the matter they all break. Older appliances used to last 20-30 years; now they might last 10 years, but issues will arise sometime after a year just as the warranty expired. Three reasons why this happen: one reason is that the manufactures make them this way, they aren’t meant to last 20 years because if they do this company won’t make as much money obviously. It happens with cell phones today as well and almost every industry. The second reason the entire industry only controlled by three brands who owns most of the other brands. Third reason is that now days appliances and refrigerators have much more electronic components, unlike older fridges that had only (well made) mechanical parts. Electronic parts break much more often, Sometimes all you need is a power outage. So to the question of which refrigerator should be I buy I answer buy the one that when it breaks and trust me it would you can get a technician that will be able to come and fix it. We often get angry customers because they can’t find anyone to repair there Miele, Dacor, Bosch, Electrolux, Fisher and Payckle, Gaggenau and more. This brands seem fun to own until something breaks. Don’t believe me? Here is a tip: Before buying a new refrigerator call around and ask for service on the brand, and if it’s a high-end brand (sub zero wolf is the exception) likely is that you have a hard time finding someone. In some places like Seattle even Samsung and LG are sometime harder to find. Good luck and remember if you have a problem with your refrigerator call Seattle refrigerator repair we are here to for you. 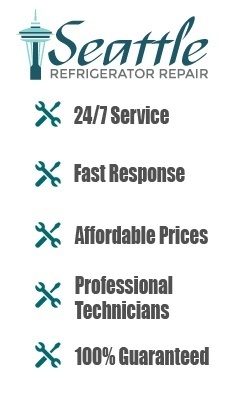 Have Your Refrigerator Fixed - 24/7 Service Within 1 Hour‎ Call Now (206) 686-9966 Call To Set Up Your Appointment. Highly Experienced With All Makes & Models.